So, you bought your first Jeep or 4x4, possibly made a few modifications such as a set of Nitto Trail Grapplers, and now you’re ready to start taking your vehicle off pavement. If you're a newcomer to off-roading – whether you’re joining an organized trail run or just exploring trails with a few friends – there are some important points of trail etiquette to know. Most of us are on the trail because we love spending time in the beautiful outdoors and have great respect for the land. Nobody wants to be the jerk who breaks the rules, resulting in accidents, trail closures and other damaging consequences. Know who owns the land you will be traveling on and any rules, fees and permits required. For example, Southern California National Forests do not charge an entrance fee to travel the trails, but a Forest Adventure Pass is required to park your vehicle. If you plan to stop for lunch or a hike, you will need the pass. Familiarize yourself with the agency’s trail signage. Trail signs frequently include color coded difficulty levels and will indicate what modes of transportation are permitted on the trail. Stay on marked trails, don’t drive over vegetation, cross streams only at designated fording points where the trail crosses the stream, drive over (not around) obstacles to avoid widening the trail, and respect all signage and barriers. Leave gates the way you found them. If you open a gate, close it behind you. While we all love nature and our vehicles that get us there, it can also be a dangerous place. Following a common set of etiquette helps to keep everyone out there safe. 7. Yield Right of Way. On multi-use trails, yield right of way to mountain bikes, hikers and horses. Slow down and give them plenty of room and keep in mind to not dust them out. Take special caution when encountering saddled horses, they can be easily spooked by loud noises and unexpected movement. If you come across a horse on the trail you should pull over to the side, shut off your engine and ask the rider how to best proceed. 8. Let Yourselves Be Known. 9. Know Who's King of the Hill. When two vehicles meet on a steep hill, the vehicle traveling up the hill has the right of way. This is because the vehicle traveling uphill may need to maintain momentum, and because it is more difficult and dangerous to back down a steep narrow trail. Common sense should prevail though; if it is easier and there is room for the uphill vehicle to pull over, it wouldn't make sense to expect the downhill vehicle to back up the hill. Either way backing up is tough. If you are going up a big obstacle like a long, steep rocky climb, it may make sense to send a spotter up on foot to make sure the trail is clear and to warn any on-coming vehicles. 10. Space Is a Good Thing. Leave plenty of room for the vehicle in front of you, especially when navigating obstacles, climbing steep hills or in low visibility. If the vehicle in front of you loses traction (or worst case scenario, rolls over), you don’t want to be right behind it. Never stop your vehicle on a blind curve or in the middle of trail – wait until you reach a place where you can safely pull over off the trail. When traveling with a group of vehicles, each person is responsible for keeping an eye on the vehicle behind them. It’s not uncommon for vehicles to become widely spread out, especially on dusty trails, but you don’t want to lose anyone, particularly if they run into trouble. If you lose sight of the vehicle behind you, slow down until you can see them or attempt to make radio contact if you can’t spot them. Always stop before making a turn off a trail to make sure the vehicle behind you sees where the turn is. You are also responsible for maintaining visual contact with the vehicle in front of you. If you have a problem and fall behind or need to stop, use your radio to let your group know. 13. Don't Drink and Drive. Save drinking for the campfire. Drinking alcohol is extremely dangerous while wheeling, endangering not only you but also everyone else on the trail. While these things are fairly common sense, keep them in mind whenever venturing out to go wheeling. Everyone has more fun when everyone in the community looks out for one another. Slow down when you pass other vehicles, hikers and campsites. Monitoring your own language on the CB/ham radio may not be second nature, but some people in hearing range may have kids with them; be aware that any foul language you're using is being heard by them too. 16. Know When to Say When. There is nothing wrong with being winched through an obstacle if you can’t make it through on your own after a reasonable number of attempts. If you've made multiple attempts at an obstacle and there is a line of rigs backed up behind you that have been waiting half an hour for you to get out of the way but you still want to keep trying, move aside and let them through before making another run at it. 17. Leave Your Ego at Home. Don’t let others pressure you into doing something you’re not comfortable doing. There is nothing wrong with taking a bypass if you or your vehicle is not up to tackling an obstacle. 18. Stop to Help Others. All of us out there rely on each other, especially in remote areas. The off road community is the friendliest and most helpful group of people there is. If you see someone stopped on the side of trail, ask them if they need help and be prepared to give it. 19. Leave No Man Behind. I would hope this wouldn't even need to be said, but I can tell you I've seen it happen. If a vehicle in your group has a problem, the group stays until the problem is resolved. It is not right to leave someone out on the trail to fend for themselves with a stuck or broken vehicle, especially in a remote location where things can quickly turn into a life or death situation. Eager to get 'wheeling? 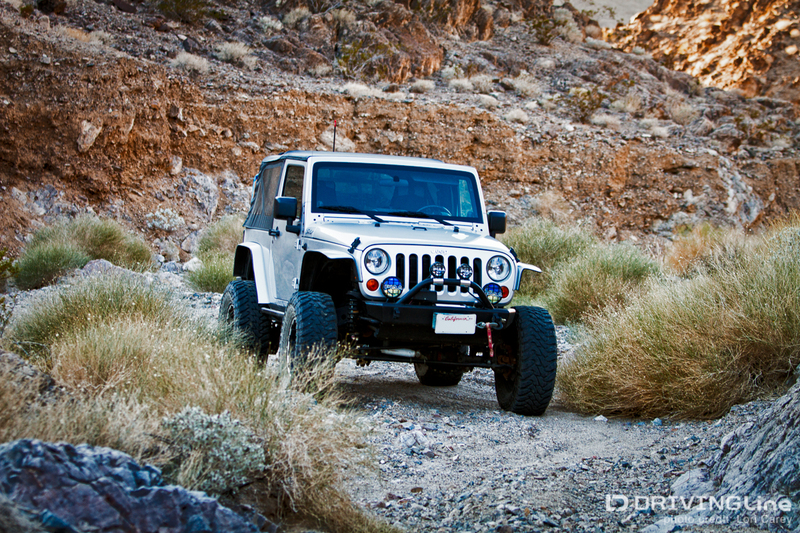 Let us help you plan your next off-road adventure!